Even if you’ve never seen the epic film “A Passage to India”, there is something romantic, mysterious and mystical when calling to mind this fascinating country. As a result, it should not come as a surprise, that Shrankhla Holecek, the creator of UMA Oils, wished to incorporate the mystery and romance of India into her amazing products. 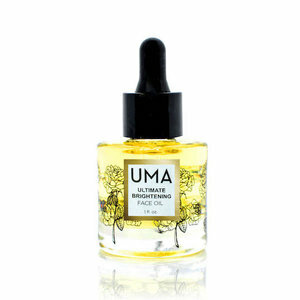 For centuries, the Uma estate has farmed and crafted the world’s finest organic oils, securing the coveted role of trusted supplier to the world’s most prestigious beauty brands – ranging from Tom Ford to Estée Lauder. All the botanicals used in the making of UMA Oils are raised on our 100-acre meadow, which was carefully chosen for its nutritious soil. Their dedicated caretakers select only the finest seeds, and nurse their plants through the growing season – making sure to harvest each plant no more than two times before re-planting. While this painstaking process results in a lower yield, it ensures the unparalleled purity and therapeutic benefit of the oils. The ancestors of the company were the gatekeepers of their craft – handcrafting essential oil blends in the Ayurvedic tradition – and passed down this expertise over generations. Beloved by royalty, the potent (and secret) formulas have long adorned the beauty regiments of princesses and queens, and deliver the same profound effects today. Uma’s unique line of products was created to bring their rich heritage, pristine ingredients, and centuries of knowledge to you in an intimate form. At Uma, the vision is to redefine the concept of luxury as we know it. Luxury is more than a label – it’s a statement of exquisite craftsmanship, characterized by an investment of time, and an attention to detail. While they embrace technological advancements in all of their processes, they believe technology will never be a substitute for experience, judgment and personalized attention to product. For this reason they carefully inspect every harvest, and handcraft the oils in small batches. Every bottle of Uma is the culmination of rich tradition, powerful science, and above all, love.